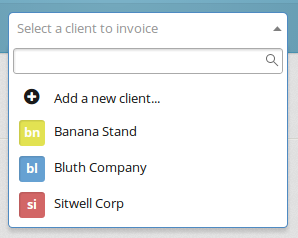 Or choose Add a new client to create a new client to invoice. Draft a Blank Invoice will create a blank invoice for the selected client. 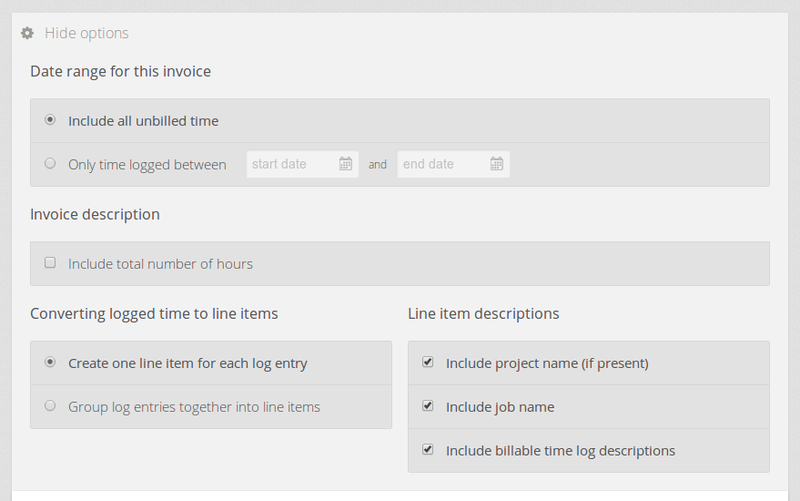 Draft Invoice from Tasks will take you to select which billable work to include. To bill for work you've logged in Paydirt, choose from the list of available tasks on the right side of the page. The invoice preview on the left will update automatically, so you can see exactly how your invoice will appear before creating it. Fixed price tasks allow you to select the amount to bill in this invoice. In this example we're billing $500 of an $800 task, which will leave the task "Logo Design" with $300 unbilled. Partial billing is a great way to take a deposit for a task. Click Show Options to expand the invoice options. Here you can select what text will be included in the descriptions on the invoice, select a particular time range to bill, and override your account's default options for line item creation. Any changes made to these options with be automatically reflected in the preview invoice below. 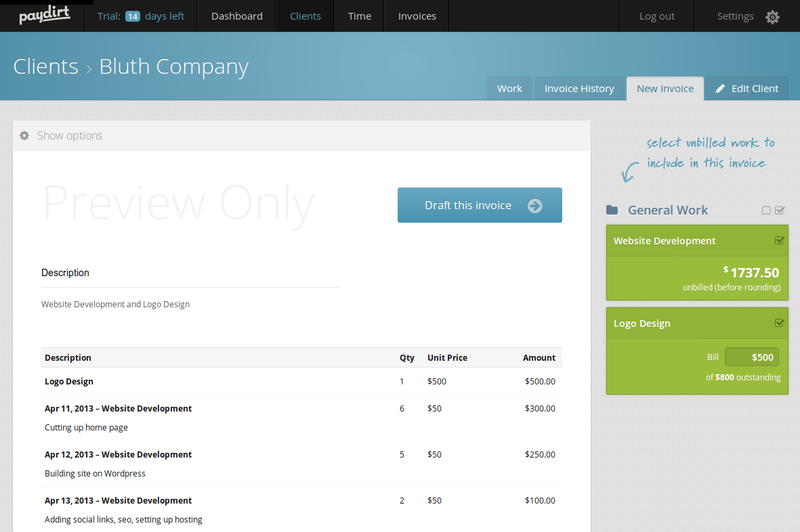 Your invoice will be created and saved, and you'll be redirected preview and manage it. You can make additions and changes before sending it to your client.